Strictly Come Dancing stars AJ Pritchard and Chloe Hewitt attended the launch of Birmingham Metropolitan college’s new performing arts facility, Stage Studios. 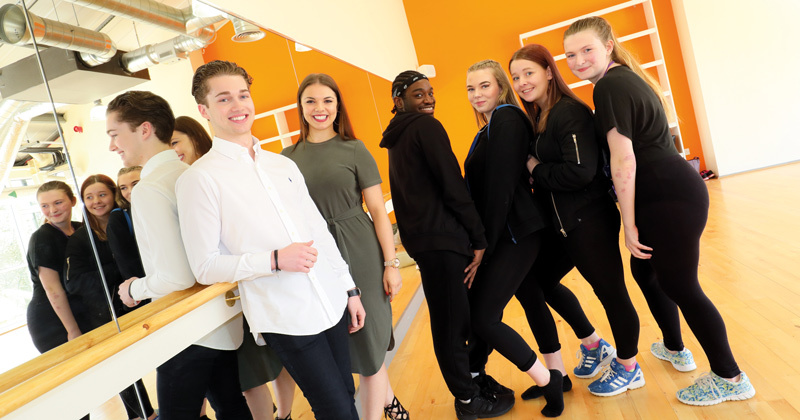 The dancing duo – who are national and European Latin dance champions and regularly appear on the BBC show – took part in a question and answer session with performing arts students during the launch event. The new studio is located at the college’s Sutton Coldfield campus, where Sutton Coldfield MP Andrew Mitchell officially opened the venue by unveiling a commemorative plaque. Speaking of the college’s new facilities, dancer AJ said “The studios are fantastic. Everyone has to start somewhere, so the more knowledge these students gain the more power they have to achieve their goals.